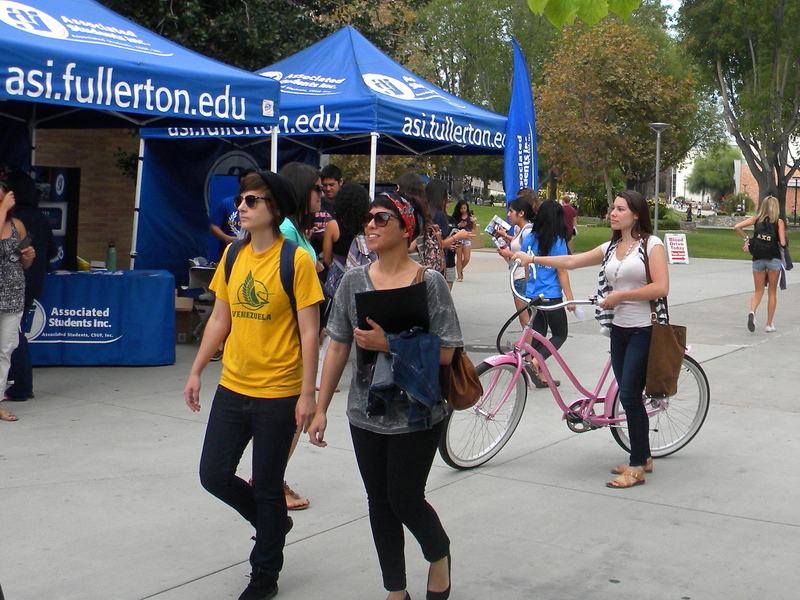 Day one of the Fall 2012 Discoverfest at Cal State Fullerton has concluded. Despite the cloudy weather, the Quad was still crowded. 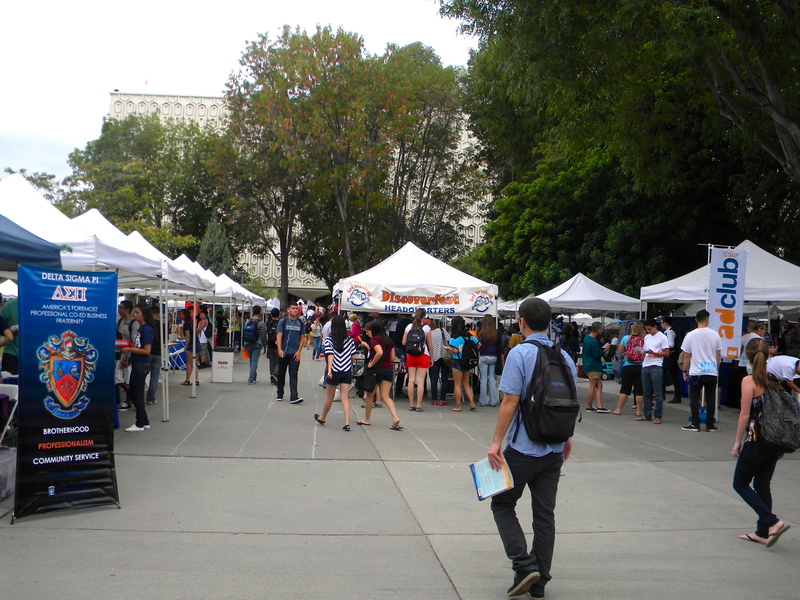 Students can check out day two of the Discoverfest on Thursday (Sept. 6) from 11:00 a.m. to 1:30 p.m. in the Quad. Discoverfest gives students a good chance to get connected on campus. CSUF is posting news and photos from the event here. Discoverfest headquarters, which gives students a map to find clubs.